When you play a string on your bass, BackBeat turns the sound you make into a vibration you can feel. Made from durable cast aluminum, BackBeat is strong enough to withstand the rigors of the stage, performance and road. The internal battery will last from 3 to 5 hours of sustained performance. 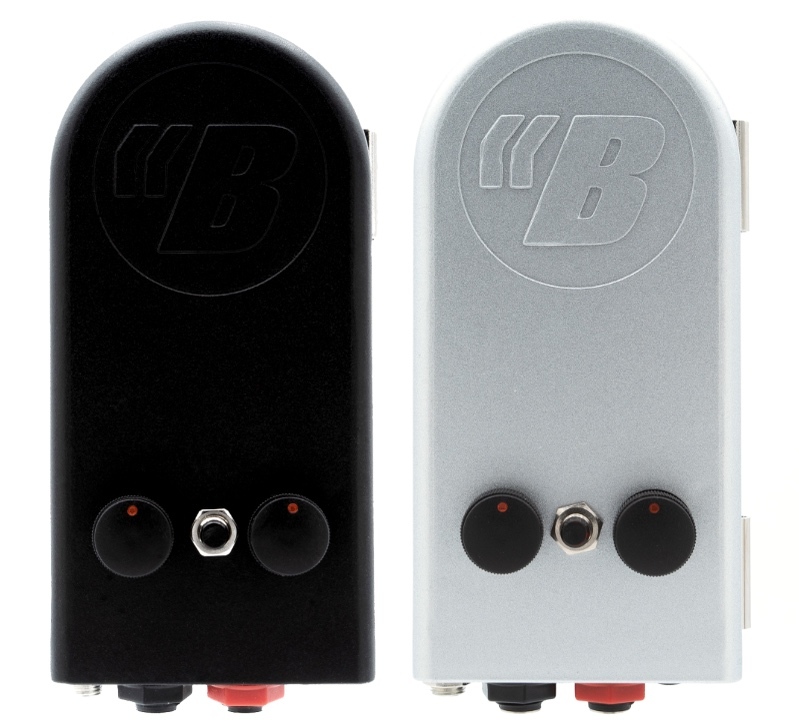 The signal input drives the transducer shaker as well as sends the signal to the Headphone Output. Control knobs allow you to dial in the rumble feel from zero to max and control headphone volume. True bypass output signal to wireless pack, DI box or amplifier. 1/8" input from Smartphone or MP3 player for practice.